Stokes and M.I.A. 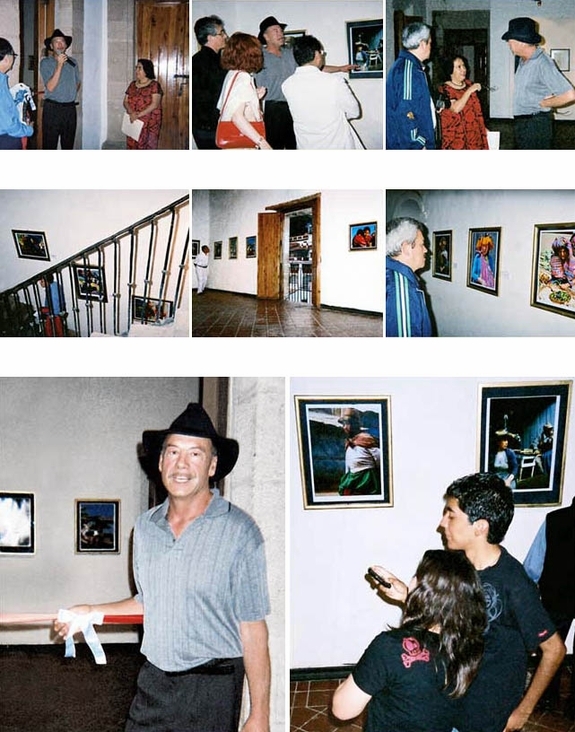 celebrated a 24 piece permanent display at Casa Borda in Taxco, Mexico this month. The Borda, built in 1711, is known for its past shows featuring the works of Diego Rivera, David Alfaro Siqueiros, as well as William Spratling. The vivid images were enthusiastically welcomed by professors from UNAM and various dignitaries from the state of Guerrero. "The etched faces in each print captures the expressions and hardships of life in all the Americas and the 'Mother World'." She went on to say, " ...it also showed strength and conviction in a state of survival that only a people of genuine character can attain." The Borda held a ribbon cutting ceremony (bottom left). Stokes gave an eloquent speech to the crowd (top left). Special Thanks to Directora Rosario Cambray Garcia of the Casa Borda and C. Javier Escalante Sabrino, Director of Culture and Tourism.